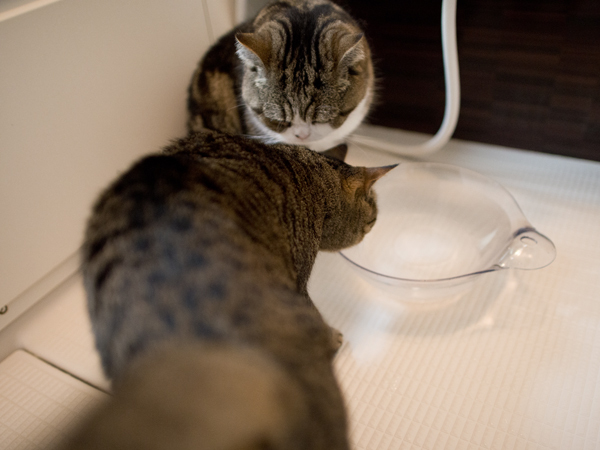 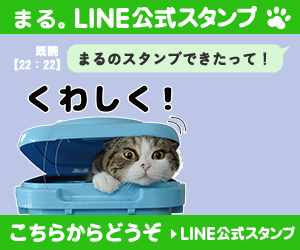 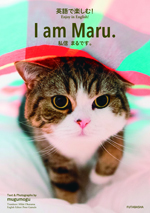 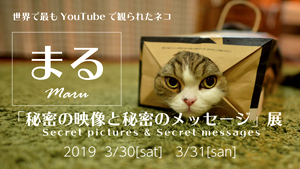 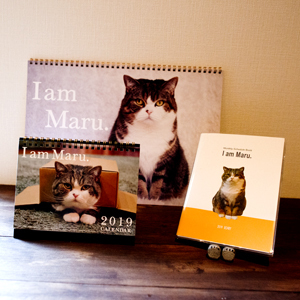 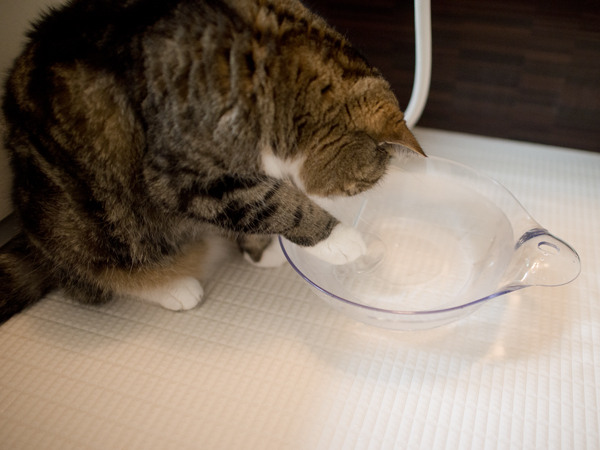 The washbowl of the bathroom is also Maru&Hana’s water bowl. 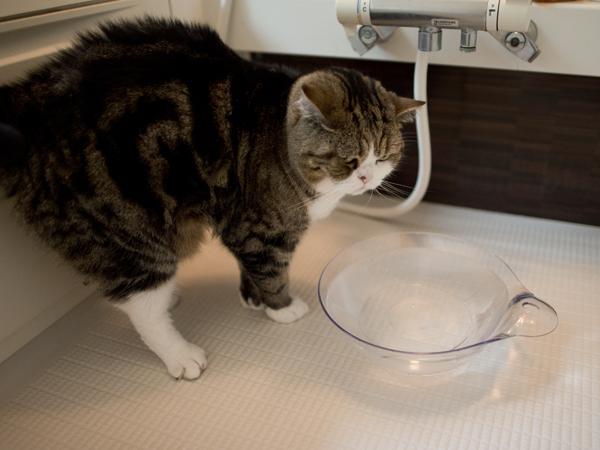 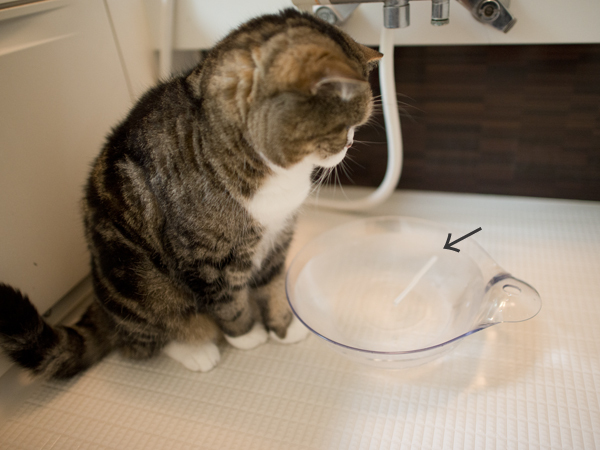 However, with the new washbowl, they do not drink water. 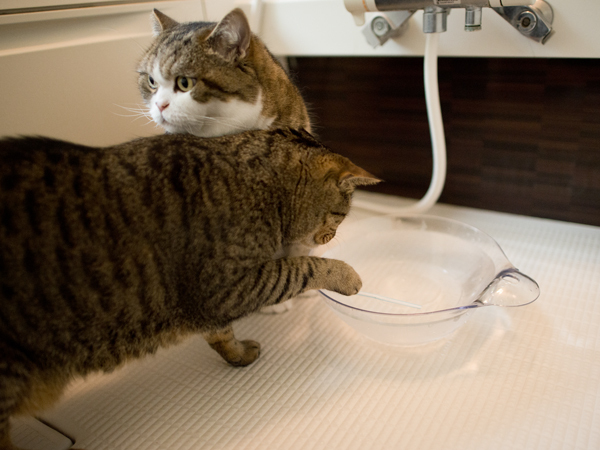 Hey Maru&Hana, that’s ordinary water. 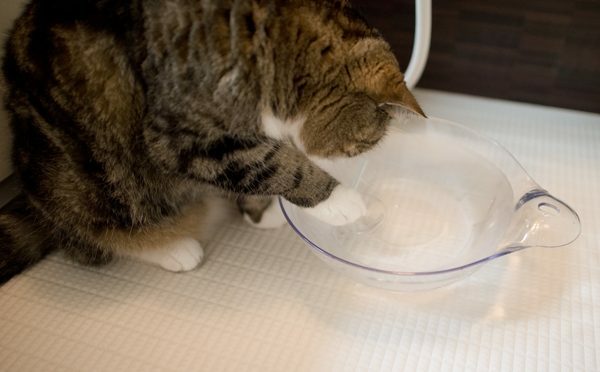 However, Hana challenged it several times, but was not able to touch water after all.